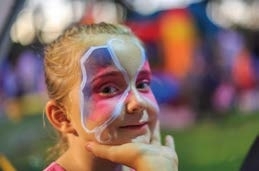 At Koko Lane & Bovino Steakhouse from 1st July to 31st August the kids can enjoy face painting, entertainment and games. Sandcastle Competition - from 7th July to 25th August - 4pm to 8pm - take part in the sandcastle challenge at the Quinta do Lago Beach, with prizes for the best sandcastles! Plus, there will be a sandsculture artist to inspire you on July 21st and 28th, and August 4th and 11th.